The world is getting smarter day by day with enhanced technological devices and computing. There is tremendous competition in the range of Smart TVs available in the tech market today. Android Smart TV is Google’s contribution to the market for Smart TVs. Aside from a spectacular picture, access to the Google Play Store is only a click away which makes installing apps a breeze. A simple click on the remote leading to a navigation screen with some of these apps is going to make your viewing experience vastly different to what your parents experienced that’s for sure! What are the benefits of using an Android Smart TV? An Android Smart TV has endless advantages over an ordinary one. Simply put, an Android TV is as good as a phone or tablet, just with a massive screen! The smart device can be used to play music and videos of your choice. Various applications can be installed on the device which does not officially fall under Google’s name. Applications like Kodi can be accessed without any hassles on these smart streaming and gaming devices. Undoubtedly, Android Smart TVs are worth a buy as they are a complete package of entertainment. As you are going to be streaming content it is important to have a Good VPN like IPVanish in place. A Virtual Private Network or VPN is a secure way to access varied services over different devices. Its major function is to protect a web network from any unauthorized activity. These activities include censorship, geo-restrictions, snooping, etc. What does a VPN help with? VPN encrypts the data. Thus, it safeguards a user from unauthorized access of public WiFis or other malicious networks. It helps in resolving censorship. With a VPN you can get access to any app or channel from anywhere in the world without any geo restrictions. Does not let any third party or network access your internet browsing data. Thus, it helps in keeping all your searches, as well as details, entered confidential over the web. Whenever you stream content it is recommended that you use a Good VPN like IPVanish. This applies especially if you are using third party apps on Kodi but should be considered for all Android Smart TVs and its applications. There are several reasons for this, but primarily it protects user confidentiality as well as other data from unauthorized access. It also gets rid of the geo restrictions and worries by simply installing a trustable VPN on your device. You see while Kodi and the official Kodi addons provide you access to content, Kodi third party addons give you even more and they do it for free. This often means that some of the streams you get access to are copyrighted and you could get into trouble if discovered viewing them. VPNs hide your activities online providing you with anonymity and privacy. One of the best for this is IPVanish. Not only does it secure your connection, it goes even further and ensures that your data is not logged in its servers which protects you even more. As already mentioned, VPNs like IPVanish also help with censorship. They do this by providing you with servers around the world that you can connect to which mask your IP address. This serves to further anonymize your activities. To help you start build your layer of privacity and security, we’ve got a special discount of 57% from [vpn1_name] for all our readers . 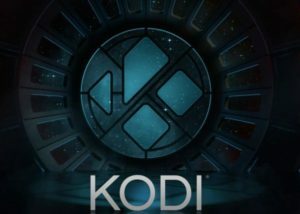 Without a doubt, Kodi is one of the best streaming applications on the market and you can access it from any part of the world as long as you have IPVanish to help you. That’s why we started this listing of awesome Android Smart TV applications, with Kodi app. Imagine having it installed on your Android TV. Exciting, right? The app provides everything that has to do with entertainment. There are endless exciting Kodi add-ons for all types of entertainment. World-class sports channels like Fox Sports, NBC Sports, etc. as well as multiple Kids Entertainment channels make it an excellent Smart TV app. The app can be used to play the latest music, stream movies and TV shows, watch live sports competitions and much more. The app is an all-in-one solution to all the entertainment needs! You can easily get Kodi from the Google Play Store and once you’ve got it installed your options are literally endless as Kodi is your gateway to so much more. For example if you want to watch the WWE there is an addon for that. If you’re more interested in local language programming – Italian for example – then we’ve got a way to watch that on Kodi. Perhaps you’re more interested in sports and want to catch the latest games? Well there are a bunch of sports addons that you can use on Kodi. As you can see, if you can imagine it, there is probably a third party addon out there that will work with Kodi. Remember thought that it is critical to use a VPN like IPVanish for protection. If one is talking about streaming movies or different TV shows online, there could be nothing better than Netflix as it’s one of the best Android Smart TV applications! Netflix happens to be one of the most popular choices of people if they wish to watch something online. In addition with the new shows being released on an almost weekly basis on the platform, there seems to always be something to watch and enjoy! Good reasons to be listed on 2nd place on this list of the best apps to Supercharge Your Android Smart TV. Netflix is one of the very few video streaming applications that support 4K video as well as HDR video quality, that too at such cheap pricing. Since Netflix has a global reach now, accessing Netflix from anywhere is not an issue anymore! The app offers all possible genres when it comes to entertainment. Netflix is also popular for having one of the world’s largest databases of movies and TV shows at a single place. Netflix is a subscription service though so unlike Kodi, you will need to pay to use it. If you are looking for some alternatives there are options available though. Puffin TV is also among the must-have app list when one talks about Smart TVs. The app is a convenient web browser designed to suit the Android TVs well. Puffin TV app can be synced up with your phones easily. It can be used to Bookmark web pages. Rather than a usual web browser, Puffin TV gives the feel of a perfect media and entertainment center that is based on internet surfing. The app provides the user with an optimized browser for high-quality video streaming, music listening as well as internet surfing. The browser it offers is unbelievably fast. The app also supports Adobe Flash and provides facilities to add one’s channels for a better experience. Just like when using any other browser, you have to take care your privacy; when browsing your IP is stored on the server where the website you are visiting is hosted. Also in this case, better use a trustable VPN like IPVanish! You can download Buffin app, here! 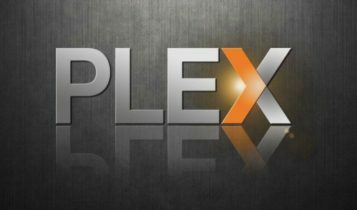 Plex is similar to Kodi and also functions a hub for media content. Plex happens to be one of the first Android TV apps that were made and, one of the best ones that exist today! How does Plex help? The app is widely used to play videos that are stored on the computer/ mobile phone or other connected devices of the user. The best part about the app is its utility. It can be used at ease for streaming content that one might have on Google Drive, Dropbox, and OneDrive. Plex Is the perfect solution to manage the media on your Android TV. Check out our guide on installing Plex for further details on how to get this cool tool onto your device. Due to its high speed connection requirement, as well to bypass eventual regional restrictions, you’ll need a Good VPN, like IPVanish, when using Plex app! 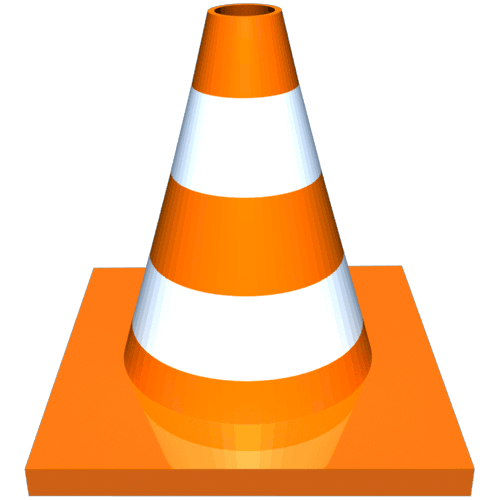 To have the best video playback experience on the Android Smart TV, VLC Media Player is the app to be installed! The media application supports almost all the existing video codecs. The app provides full support for network streams, different audio files, DVDs as well as ISOs. When we talk about multimedia, VLC is an all-rounder! The app will categorize your library into a video, audio, etc. automatically. The users can choose the settings of their choice and manage the playback and other controls with ease. 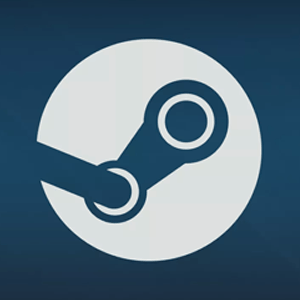 Steam link is responsible for enabling streaming from PC to the Android TV or other Android devices. The app is perfect for an Android TV user as it facilitates game streaming directly on the Smart TV! Yes, the games can be streamed at up to 4K resolution at 60fps. Steam Link is known to provide the users with an ultimate gaming experience. No more worrying about the HDMI cable connection! All you need is an Android Smart TV and the Steam Link app. And, you are ready to experience the best gaming experience on your Smart TV. You can get it from the Google Play Store here. 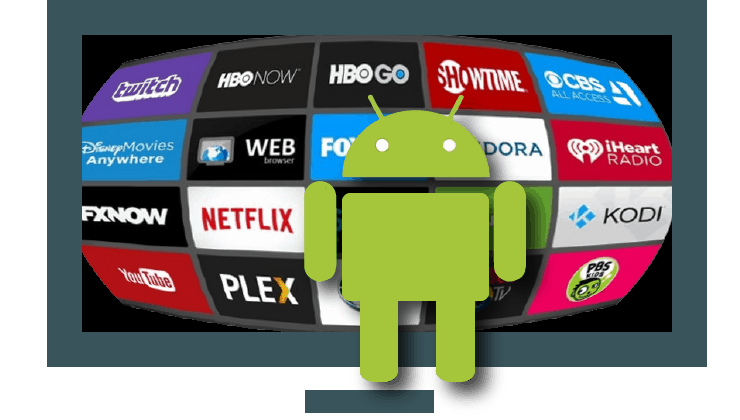 In this post, we talked about a few of the most popularly used and convenient Android Smart TV applications. The features that these applications or add-ons (as in the case of Kodi) have on offer are simply amazing! For one to have the best experience of using an Android Smart TV, the installation of the right apps is essential. Do you own an Android TV? If yes, it is time you get your hands on these amazing apps and enhance your experience with an Android TV. But, before streaming anything, just do not forget to turn on a Good VPN like IPVanish! Hope you liked these alternatives on Android Smart TV applications. If so, please rate it and do not forget to share with your friends as well!